Vicky Page, 36, took Noah and his two siblings, aged nine and ten, to the Faversham’s Royal Cinema in Kent to watch the new Dumbo film last Saturday. Ms Page said the stranger demanded she kept Noah at home, shares Daily Mail. The mum said: ‘Noah wasn’t being naughty, he just got extremely excited. He finds it quite hard to stand still when he gets excited. ‘He couldn’t believe Dumbo could fly but instead of saying things quietly, he shouts things out pretty loud, and he just said “elephant fly superhero” and then started really jumping. ‘But the woman said “I don’t particularly care” and that I should keep him at home if he can’t sit still. ‘It made me see red and I think in the end Noah saw me tensing up and I had to leave with my children. ‘We went through to the foyer, where he ended up having a full blown meltdown and started headbutting the floor. Ms Page added the trip to the cinema was a treat for all three children and the family worked hard to prepare Noah for the special outing. ‘If this woman hadn’t have made a fuss or just moved seats, this wouldn’t have happened because Noah was happy – he was jumping around and trying to tell the story. Thankfully in Australia we do have the special screening times for children who need. Why have we become so intolerant of children these days? It is so frustrating to constantly see mums (and dads) being judged. What would you have done if faced with a similar situation? While I’m very tolerant, I had one experience a long time ago of a child yelling and jumping and happy, but also repeatedly kicking the back of our chairs. We moved seats because it was really hurting hubby’s back. It made me determined to take my children to sessions when they were calm or to a special sensory screening so we didn’t worry other patrons. 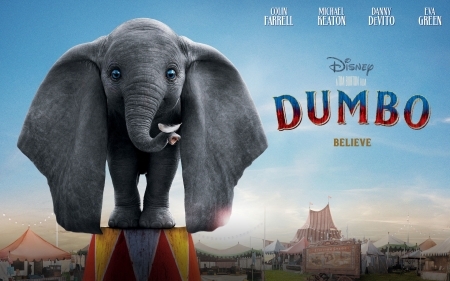 However, Dumbo is a kids movie, I would have expected some noise /disruption. We all need to be tolerant and it goes both ways. It’s hard when we all weren’t there, I mean there are disruptions from kids and then there are major disruptions. I think if it was just laughing, hand clapping and the occasional shouting out – most parents should be able to be flexible and understanding. If any child, not just one on the spectrum, is creating a major disruption then I think that’s a different thing altogether. Disgusted is this other woman’s behaviour! Why are people so bitchy and heartless. I wish I was there to defend her. Wow. I am a Mum of a child on the spectrum and I absolutely feel for this family. I abhor the other woman’s reaction. What about a little empathy and care. It could have been handled so differently. This is a difficult one as other patrons have paid good money to see the movie too and if he was jumping and making a lot of noise I think most people would feel annoyed. I wouldn’t have said anything if it was me but I’d be seething. I do feel for the family though and the cinema should offer special needs sessions. First of all, Zi would have phoned the cinema and ask if there was a quiet room where my family could sit for the duration of the movie, then none of this would have happened. Your son would have seen the entire movie and been able to jump around and be as vocal as he liked. While I find that people may seem intolerant of children when they pay to see a movie, they should be able to do so without interruption such as your son’s excited vocalising. I have worked with many children and adults on the spectrum. I think other people need to be considered. You, the mother and knowing your child’s display of excitement that would undoubtably irritate other customers, by disturbing their cinema experience, the intolerant person in this instance is you. Other people would react..im just sharing what id do…im the kind of person that would purposely irritate her even more. I would have joined my child in making loud excited comments, id be clapping my hands and laughing as loud as i could. I wouldnt give such a sour person the benefit of letting them dampen my childs enjoyment. But thats just what i would do. Im not judging in any way. Us mums should support not judge. Oh and my pre teen daughter has aspbergers and adhd. That just goes to show the inconsiderate and intolerant attitude of some people today. This other mother’s bad attitude spoilt a special moment for a happy and excited young fellow. There are some really horrible people sharing this world of ours with us, unfortunately. I hope your young lad can gain the opportunity to get another chance to see the movie again, without any more ‘grumpy’ parents in the audience. Oh the poor little thing….have tears reading this. Some people have NO IDEA …???? I think parents should imagine shoe on other foot. If that was her? Those who judge aren’t in charge. They’re just full of themselves and we all have to give and take in society. Excitement at a movie is not a crime. Maybe they the judgey judges should wait for the DVD to come out. Being patient and understanding is the best gift that a person can give to another parent. Like yes there are special screenings for kids with special needs but in saying that she can still take him to any session she wants. I can’t believe that mum’s rudeness. If you explain they have autism most people are more accepting and understanding. I myself would not have had an issue with him, autism or no autism. I think that particular mum loves herself too much, how rude of her. We have been to sessions and this has happened and not bothered us one bit! It is actually delightful and excitement is infectious and movies are interactive. If we want a quiet movie we watch it at home. Going to a cinema is a complete experience which can include some noise and activity. We had some children arrive dressed up for a recent movie and they were bursting with excitement and singing. Delightful!